Roosebeck 36 x 30 Inch Caitlin Harp Padded Nylon HCTC. 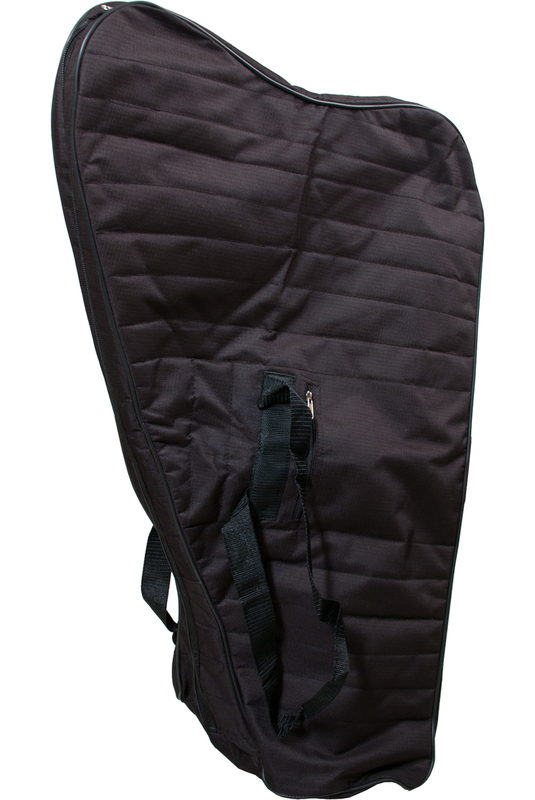 Nylon padded quilt gig bag for storage or travel. There are two secure hand straps and a 6 inch wide zippered pocket for accessories. The double ended zipper opens the case on two sides for easy access. The approximate measurements in inches are: Back- 30.5; Arm length-20; Arm width- 3.5; Front, Pillar side- 35.5; Foot width- 13.